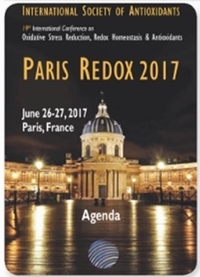 From June 26 to 27, 2017, The 17th PARIS REDOX was held in France, where Prof. Rachmilewitz, senior director of Osato Research Institute, made a FPP presentation. Prof. Rachmilewitz presented that FPP was found to decrease oxidative stress both in-vivo and in-vitro in congenital and acquired hemolytic anemias. He finished the presentation by stating that it is possible that longer treatment duration and/or a combination with iron chelators will yield better results.